When I got the opportunity to re-release my first two books, which had gone out of print, my publisher and I decided that they should be combined into one brand-new volume, Ready for Dessert, with new photos and more than a dozen new recipes added. 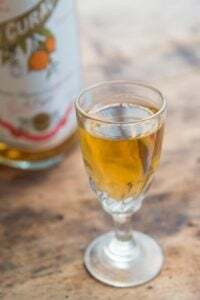 So I made a master list of all the recipes, then chose my absolute favorites: the ones I’d found myself making over and over again during the years invariably rose to the top. I had to choose le top du top, as they say in France. Then I sent the list to my editor, who worked for many years at a food magazine known for their exactitude and trying a recipe over and over and over again with every variation (a bit crazy, like me), and we went back and forth for a while, until we agreed on the ones for the final book. I originally imagined I would sit down and cut and paste recipes, putting them in order, and maybe adding a few notes here and there. But as I scrolled through the recipes, many of which I hadn’t made in over a decade, I started reading through them more carefully. 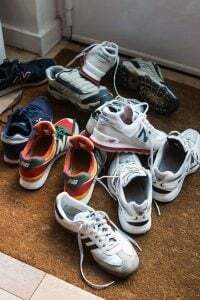 And soon I realized that I was not just making mental notes, but I was jumping up from my desk chair and heading to the kitchen, taking butter out of the refrigerator to soften, and running to the market to buy eggs by the flat. As I mentioned in the introduction to the book, recipes aren’t set in stone—which is a good thing, because otherwise using cookbooks would be a herculean task, sometimes when you look at something with a fresh perspective, you have those “Eureka!” moments. This Chocolate Bread was in my second book, Ripe for Dessert, and when I was picking and choosing which recipes would make the cut, I had an overload of chocolate cakes and other treats in the book, including cream-filled Chocolate Cupcakes dipped in chocolate ganache. So this one didn’t make it. Another reason was that I didn’t want people to make this and expect it to be like a decadent chocolate torte or rich chocolate pound cake. It’s bread, and the resulting loaf will be firmer and less-buttery than a traditional cake. What you should expect, though, is the most amazing chocolate aroma wafting from your oven during the excruciating time it takes to bake and cool down. And it does make a wonderful afternoon snack, with a strong cup of coffee. So I thought it’d be fun to give it a makeover here on the site. When giving it another look, I tried it a few times. Okay, who am I kidding? I re-did it about eight or nine times, exhausting every possibility I could think of. 1. 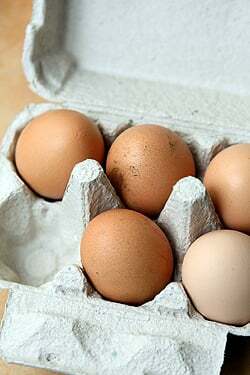 Egg Yolks vs Whole Eggs: Yolks are almost pure fat, so they make things moister. And I thought maybe an extra yolk would make a substantial difference. Verdict? Not enough difference to merit having 2 egg whites leftover. 2. All-Purpose flour vs Bread Flour: Because bread flour isn’t something everyone has on hand, I wanted to see if it was vital for the bread. Verdict? I hate to make you go to the store, but bread flour has more gluten and you’ll get a better rise if you use it. 3. Dutch-Process Cocoa Powder vs Natural Cocoa Powder: I dipped into my stash of American cocoa powder, trying it with both Hershey’s and an artisan brand. Then I tried it using Dutch-process cocoa and the difference in flavor was pretty profound. 4. Nuts vs No Nuts: Originally I made the recipe with nuts because, well, I like nuts and chocolate together. But I was on the fence about them in the end. So while they were nice and crunchy in there, you don’t have to use them. 5. Instant vs Active Dry Yeast: Instant yeast isn’t widely available in France yet, so I didn’t try it. Fresh yeast, however, is. (You can ask your local boulanger for some.) Call me a stickler, but I used active dry yeast. Verdict? If you want to swap one out for another, check the links at the end of the recipe for substitutions. 6. 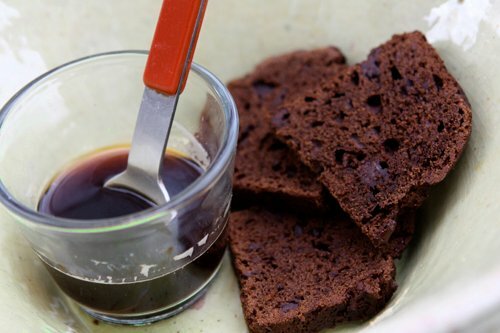 Butter vs Oil: Because butter is part water, about 20%, I thought using a neutral-tasting vegetable oil might make the chocolate bread moister. And thought that maybe the flavor of the butter might not be that important with all that chocolate anyways. But the loaf came out with an odd, slightly greasy taste, and I went back to butter. Verdict? Oil works, but doesn’t taste very good so I’m sticking with butter. Perhaps a nut oil might be something to try, but am guessing the flavor might be rather strong for most tastes. 7. Milk vs Water: Originally I used water, but decided to give milk a try, since bread doughs made with milk have a softer crust and are a bit more tender. Verdict? Whole milk works best, but low-fat milk or water is okay, too. 8. Chocolate Chips vs Chopped Chocolate: Chocolate chips are designed not to melt, and while that’s sometimes an advantage, I don’t mind softer bits of chocolate embedded in the bread. So I chopped mine up myself. And besides, I only have one bag of chocolate chips left that I brought back from the states, and I didn’t want to use them up quite yet. Verdict? I prefer chocolate chunks, but chocolate chips are fine to use. I also made the dough a bit softer, and even considered trying a no-knead variation, although I decided that I actually like kneading bread. And also my friends (and neighbors…and vendors at the market…and delivery men…) were beginning to request something other than loaves of chocolate bread with a few slices taken out. So I decided it was time to stop. 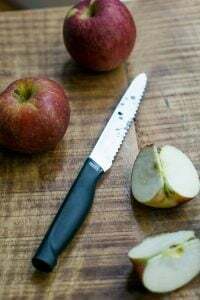 You also might try slicing up a loaf and using it in your favorite bread pudding recipe (or the Orange-Almond Bread Pudding in Ready for Dessert). Or using it for a batch of French toast, if you’re one of those people that need to get their chocolate fix first thing in the morning—as I must confess, I often do. After much experimenting, I opted for a dough that much softer than the one I’m kneading up in the photos. And I eventually I settled on one that was soft enough to be scraped into the baking pan, just as is.Use very good cocoa powder; here I used Valrhona, since I think the darker color and strong taste are important in the loaf. But another brand of Dutch-process cocoa should work fine, too.If you don’t have the coffee powder, you can leave it out. I like it since it add a subtle boost to the chocolate flavor. This recipe works best with bread flour, but if you can’t get it, all-purpose flour works well, too. I’ve made a few notes at the end of the recipe about yeast and flour substitutions. 1. 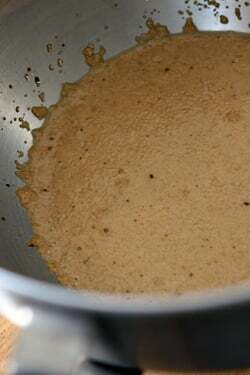 In the bowl of a stand mixer or in a large bowl, sprinkle the yeast over the milk. 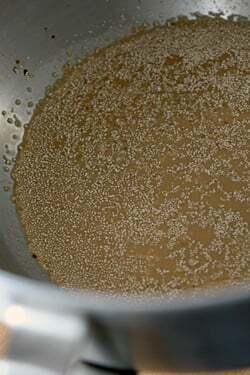 Add one tablespoon (11g) sugar, then set aside in a warm place for 10 to 15 minutes, until bubbles form on the surface. 2. While the yeast is activating, in a small saucepan, melt the butter and 3 ounces (85g) chocolate over a pan of barely simmering water. Stir occasionally, until the chocolate is melted and the mixture is smooth. Remove from heat. 6. Butter a 9-inch (23cm) loaf pan. Notes: The equivalent amount of fresh yeast to one packet of dry yeast is .6 ounces. 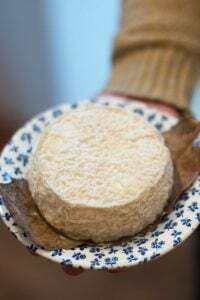 I’ve not used instant or quick-rising yeast (also called rapid-rise, or levure boulangère instantanée in France), but if you do try it, please let me know how it works out. According to various websites from yeast suppliers (see below), you can use it in place of regular yeast. If you have questions about yeast, active dry or instant, I’ve included a few links below to the websites of various yeast companies, which you should find helpful. In France, there really isn’t any equivalent of bread flour. Due to the proliferation of bread machines, one can find farine pour pain or farine boulangère, but it usually has leavener already added. There’s a ‘hack’ for making bread flour, in the links below. Do I even have to bake the bread? Can’t I just eat the dough? It looks amazing, especially the picture with the nuts in it. Such a gorgeous and mouthwatering blog; thank you for sharing! What I keep wondering every time you mention “tried the recipe for eight to ten times before I was sure”: WHO EATS all your tryouts? This keeps me from continuing my search for the perfect white nougat recipe unless we have guests or are invited and don’t have to eat everything ourselves. Or do you – what a thought! – just reduce the amounts when you test different variations? I’ve done a lot of bread making over the last few months but never tried a chocolate bread. I have a batch of sourdough ready to go in the oven in 8hrs… do you think a choc sour dough would be viable… its gotta be worth a shot surely??!!!!??! You talk about sending people out to buy ingredients like bread flour and yeast, yet the only thing on there that isn’t in my cupboard is instant coffee! I’ve eaten a shop-bought version of something similar. Perfect for breakfast, chocolate-y, but bread like enough to make you feel that you’re not starting the day with dessert. Definitely a recipe to try this weekend. Yay for chocolate bread. I have never had a yeast based bread with chocolate in it. Seriously – yum! I’ve never tried chocolate bread but sounds like a perfect afternoon treat. It’s getting colder here so this will be so nice to enjoy warm. oh wow chocolate french toast??? sounds so heavenly! I tried making breads before and had excellent results but haven’t tried making a chocolate bread though. That bread is mouthwatering! Beautiful. Wow, you’ve got me drooling. Definatly giving this one a try. Thanks. Let me start with Oh My Gawd!…..and then say, I’d definitely prefer nuts! It looks better than chocolate cake to me. David, can’t you get SAF instant yeast? It’s a French product. Surely G. Detou has it. Today I’m making pain meunier, but this chocolate bread is next! Thanks for the recipe, it looks wonderful! 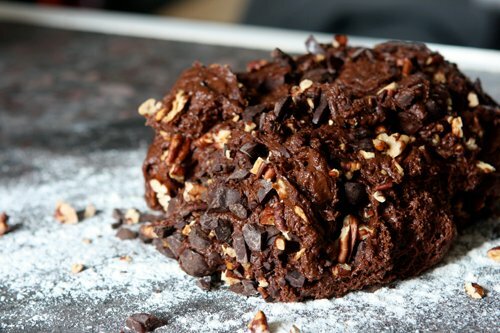 I love all kinds of bread and I love chocolate, then the combination is perfect for me. I’ll try soon. Thank you very much!!! The bread looks amazing! We are carboholics in our house and what could be better then bread and chocolate? I think I will try making this with my kids. Thanks for sharing. wow. This is dedication. Sorry I was not around to try you out testing yet another variation! (Wish I had your patience on variations. My variations are always due to me running out of an ingredient or two, and sometimes I saw the light with a random substituition, but most of the time you barely notice the difference, and occasionally you do get a disaster). Great primer on how to tweak and test. I really appreciate your insights. Thanks David. My wife will love this bread! What is it with chocolate, beside that facts that it is legal, tastes great, is affordable, and makes us feel great? As usual, you are feeding my habit. For crying out loud, David, send us your addr so we can send you some chocolate chips! Only one bag left?!? Not good! I’m so excited – I’ve searched HIGH and low for chocolate bread. Now I can make the Bongo Room’s Chocolate Tower French Toast – Thanks to you! Joan: I’ve not had great luck with SAF yeast. I know people say it’s great, but I’ve tried it a few times and can’t get it to proof or rise properly. I buy it in Arab markets, where it comes in sealed tins and I check the expiration date. So I often bring back a few packets of yeast from the states for recipe testing. Susie: I usually use chopped chocolate, which I prefer. But some folks like chips so I try to test recipes with both. This looks awesome. There’s a bakery in my ‘hood that makes a chocolate cherry bread that this reminds me of… if the recipe works the first time, the 2nd time I might have to try putting cherries in. It’s funny, I’m not a big chocolate guy, but I like it best in non-dessert situations. Dylan … David … oh a sourdough version, yes please! Thanks for doing all the testing for us! I can’t wait to try this. I’ve never had a chocolate bread made with yeast. I’m growing tired of what we call ‘quick breads’ which are nothing more than muffin batter cooked in a loaf pan. What’s your take on quick breads? Any favorites? Would it be weird to serve this in the evening with a red wine? 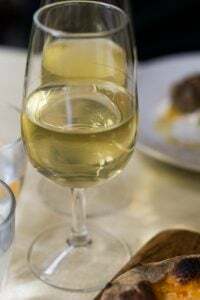 I like wine but I don’t know much about which wines go best with which foods. The pictures looked lovely and mouthwatering. I wish I knew how to operate our oven, I would go crazy just baking stuff. Okay, David and Elemjay, the final answer is, please… “The bread is done when it registers” What Degree F or What Degree C? this looks absolutely amazing. 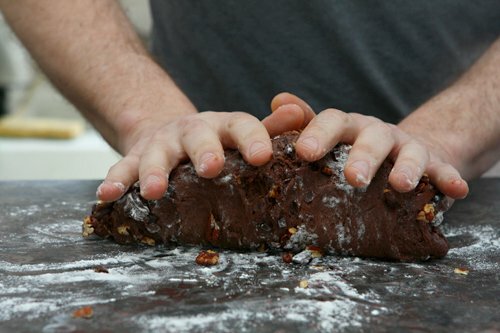 can’t say i’ve ever had yeasted chocolate bread, but i will certainly try this. How cool does the chocolate mixture need to be before adding into the main mixture? This looks fantastic, I am dying to try it! Thanks! David I just started a diet! I bet this is good warm from the oven, mmmm. . . . This recipe looks amazing. I can see myself eating a slice with morning coffee. Maybe a batch of chocolate french toast for lunch and chocolate bread pudding with dinner. wow david. This is bringing back awesome memories of baking this bread when my husband and I were newly married and living in Far Rockaway NY. I was (and still am) a bit scared of baking dessert but I had gotten your “Ripe for Dessert” book out of the library and wanted to trying every single recipe! And I do remember the intoxicating smell while it was baking. Must make this again-thank you for sharing the recipe! btw, I never thought about the fact that chocolate chips don’t melt. Funny, how you grow up with something and never question it’s design. I like to chop my own chocolate as well, but when lazy, often use the chips. Not so sure I will anymore. Kind of weirds me out. What in the heck is in them that keeps them from melting? Wow! What a PB&J sandwich this would make! Question? How long will this keep (yeah, right!) and how to store it? Can it be frozen or will it bloom the chocolate bits too unappetizingly? i just mixed this up this morning and I added cranberries instead of nuts….I’m certain that it’ll be fantastic. the dough sure was tasty. 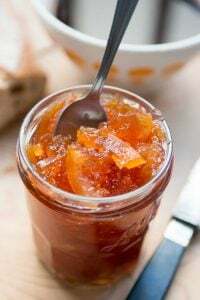 Mmmm…can’t wait to make this and then try french toast or bread pudding with it, if I can keep my kids from making peanut butter sandwiches! I have been wondering about bread flour and how essential it is…Thanks for clarifying that it is in fact essential! What an amazing bread! There’s a bakery in my hometown that makes chocolate bread and whenever we visited I begged my mom to buy some. Now it seems I can make my own whenever I want it! That looks amazing. At first I thought it might be like a babka type bread, but it’s so much more than that! I must make this soon. As I was reading, I thought: “Oh man! What great French Toast and bread pudding that would make!” And then you beat me to it! I can also imagine some nice cried cranberries or other dried fruit added to make it an even heartier snack. And to echo others, pbj with this? It would be awesome. Julia: To me, there’s nothing more frustrating than, what I call, the “1/4 cup squab stock-syndrome.” When recipes use an odd or obscure ingredient, when a more common one would likely suffice. The bread flour does make a less-dense loaf so I do recommend it. I’m fairly sure most American supermarkets carry it, but am not sure about elsewhere. Rosy: I love those cookies, too! Just be sure if you make them, and chop up your own chocolate, add the little dust-like bits of chocolate, which give the cookies a chewy, chocolate texture! Vera: Since chocolate doesn’t get heated up too much to be melted, it just needs to be liquified and won’t be too warm when you add it. David, I am so disappointed in you. One does not scrape chocolate off the computer keyboard. One licks chocolate off the keyboard (in private of course), savoring every last morsel. I know the second is a layer cake but I really love the first recipe and have only made it as cupcakes so I’m not sure how it would hold up for a layer cake. Thanks for your “What did I try” notes–very helpful for this and other recipes. And, thanks for another excuse to have chocolate for breakfast! What do you think of using hazelnuts and spreading some of your homemade Nutella on it? Would it cover up the flavor of the bread? Mmm…mouth watering just thinking about it. 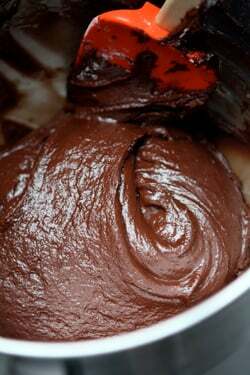 the chocolate dough is in the proofing drawer as i write this ! Oh this in a bread pudding with sour cherries just might be perfection! Add a little sweetened whipped cream and my husband might be an unnecessary accessory! I am looking forward to trying it! I got my hands on your book a day ago and my socks flew off! I had to blindfold myself after the 3rd picture above – wicked! Another brilliant post. And not related in the least bit to chocolate bread, but we dined at the Cafe at Chez Panisse on Monday. Not surprising, everything was delicious and very memorable. (Some of the best salad with green goddess dressing of my life – and I have had a lot of both!). What stood out the most was tiny pieces of chocolate that were part of the lovely dessert plate. Pieces of broken chocolate made with a mix of Callebaut and Amano with random nuts thrown in. It was most likely the best chocolate I have ever tasted. I never thought that using the egg yolks verses the whole egg would matter except for more liquid. The bread looks lovely. And, this recipe has almost convinced me to get over my fear of yeast…. yeh! I thought I had the difference in dutched cocoa and natural figured out by looking at the ingredients list on the package, but maybe not. Every dutch process cocoa powder I have looked at has alkali listed in the ingredients. I just purchased some Valrhona cocoa and the only ingredient is cocoa. Since it does not have alkali in the ingredients list I didn’t think it was a dutch process type. Am I mistaken about this? Thanks for any clarification. Just one question: Do you put the melted butter and melted chocolate in the yeast mixture with the other ingredients at Step #3? I did and hope I was correct. Maybe I missed that instruction. Now I am watching and waiting…Thanks for the recipe and your many efforts to make it the best. Great recipe. 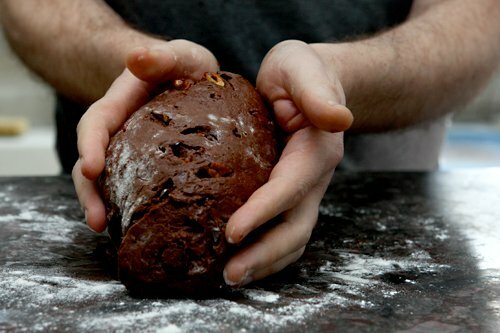 Chocolate and bread are such wonderful teamwork. 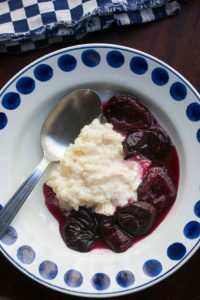 Oh I am so going to make that as a dessert this Saturday, it’ll be nice with some fruit after a cheese fondue, and then turn the leftovers into a bread pudding – thanks Delia for that idea! Wow, thanks for testing out all the variations. I made chocolate no-knead bread, but honestly I couldn’t get it to be as chocolaty as I wanted. Zingerman’s sells a chocolate-cherry bread that is quite yummy. I’m going to have to make this, and throw in some dried cherries. I always get a bit nervous when I try to change proportions on any kind of baked good, especially when it involves yeast. Obviously, it works! 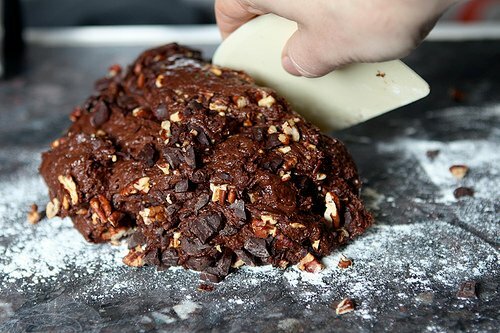 I would be really happy if I had this chocolate bread come out of my oven. I imagine the aroma of the bread baking is enough to make it worthwhile. I am more encouraged now to play with yeast doughs and see what happens! In the meantime, I will make this! How did you know I was craving this? Thank you for sharing and for making me even hungrier all at once! This recipe looks divine. I can’t wait to try it and share it with my family. Thanks for sharing it with us. I’ll be living in Paris for the month of May. I will be sure to try this. I have a question about flour translations. I can translate French flour into American flour (combining cake flour with all purpose). However, how does one go from American flour into French? 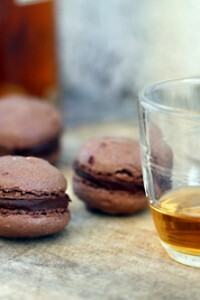 Do you make recipes in French based on American recipes without modifying? Maybe you would make a post on this one day. I’d be interested in learning about this. I’m always afraid to use American recipes in France when the recipes includes flour. Wow. I’ll take a warm slice slathered with Normandy butter with my bowl of morning coffee please! P.S. Have you tried it with a shot of espresso in the mix? Oh God. Tomorrow I’m going to braid it and call it Challah! Melissa: It’s been years since I’ve made either one of those, so can’t offer much advice…except to make them both? Le Capitaine: I love espresso although I think a shot would get lost in the batter, and you likely wouldn’t take it. 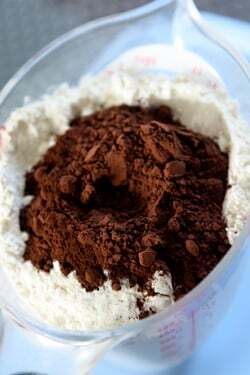 I’m not a big fan of instant coffee, but I do suggest a bit in baking certain doughs (like in this recipe, where I made it an option) for adding coffee flavor. Cherie: Well, you have to remember that I started there in…gulp…1983, and left about a decade ago. I thought I left a memorable impression! Su: Yes, I remember reading that. It’s hard to get a lot of chocolate flavor in bread, hence my use of cocoa powder, chocolate, and chips. I wasn’t a fan of the no-knead bread (and boy, did I get some brickbats thrown at me because of it!) 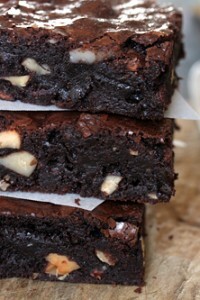 but was thinking a chocolate variation might work and be tasty. 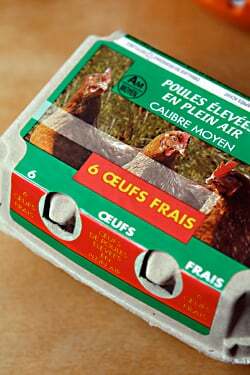 Brenda: Check the links I gave at the end of the post to answer your questions about American ingredients in France. Patty: Valrhona cocoa powder is Dutch-processed. Am not sure why the package doesn’t list an alkalizing ingredient. ChefShop lists it as Dutch-process and so does Chocosphere. I really enjoyed reading this post. The play-by-play as you tested recipes is both entertaining and informative. Thanks! Oh, and if you need anyone else to send a loaf of chocolate bread with a few slices missing, I’m here, by all means. Yes! At long last your a bread geek…now how bout making it sourdough??? Whoa! I have never heard of chocolate bread before, but what a yummy way to have breakfast. I envy you. I have never heard about chocolate bread before! The pictures look mouth-watering and I will definitely try out your recipe once I get back home. I can almost smell that bread thru my computer screen. Mmmmm…. Oh, this looks heavenly! This will go on the “must try” list immediately. Thank you so much for sharing this. This looks delightful. Next I will have to go through and see if you have a recipe to try for pains au chocolate. It was one of my first treats in Paris and I would love to try to make it as well. you have answered my prayer to the baking gods! My little local bakery does a lovely chocolate bread with bittersweet chocolate chunks and dried cherries every december for the holidays, that i just adore. but will being able to make this year round ruin the holiday excitement of their chocolate bread? to bake or not to bake? ’tis a chocolate conundrum. I made this last night and it was great! I’m definitely thinking about making the remaining bread into bread pudding. One change I would make in the future, though, is to use less instant espresso. Perhaps mine is particularly strong, but it overpowers the chocolate flavor, rather than enhancing it. I often use instant espresso this way, so I think it just might need less of the brand I’m using. Your personal notes are invaluable!! It is these morsels of “play” that allow and invite further create and play. Oh, this looks so good! But you don’t say – did you use wholemeal bread flour or white? 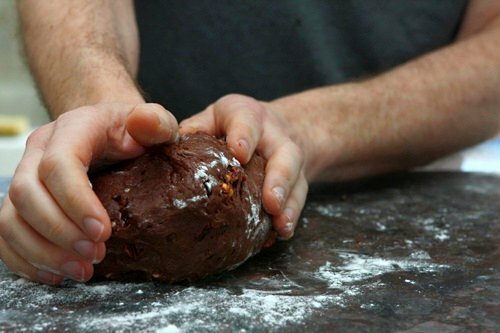 Wow…this post has sure gotten a lot of people baking chocolate bread…me included! Do you think that the planet’s atmosphere has registered a touch more “chocolate” in the last week?! All kidding aside, thanks David, for such a fine recipe. It’s always a treat to read your posts. There’s a bakery in the Reading Terminal Market in Philadelphia that has chocolate bread with dried cherries in it. It’s TO DO FOR! I would try that with this recipe. this looks delicious. and if its not cake i can justify eating lots of it! i’m a novice bread baker and have been trying lots of no knead recipes so i’m thinking of seeing if i can make the conversion of this recipe into no knead. we shall see…! I love your new book – and thanks for sharing the ones that “didn’t make it” in, xoxox. Wow! Need I say more?? Absolutely tasty. A loaf of this out of the oven and in my family stomachs in seconds! Thanks for the awesome post! Your blog makes me feel so guilty, David. I see things like this and feel like a complete plebian. One of the first thoughts that came to mind was what an amazing fried peanut butter and banana sandwich this would make. Alas, the Memphian in me cannot be stifled. Speaking of bananas, I recently got your latest cookbook, and the first thing I made was the banana cake. My sister is very anti-nut, so the nuts in the cake were replaced with chopped chocolate, and to fill the cake I whipped up some peanut butter icing. Best cake I’ve ever had, hands down, and my boyfriend will not stop singing its praises. Also, your chocolate chip cookie recipe, with chopped hazelnuts, has become my new default recipe. I believe my history teacher implied he could be easily bribed to give me better grades with them. In a way, I feel kind of childish, replacing things in your recipe with altogether less sophisticated ingredients. But it’s so goood! any thoughts on making this dairy free? you address the issue of milk v. water; any thoughts on the butter? can i use oil (maybe olive?) instead? i’m sure the buttery flavor is great, and will try that too, but am wondering about making it without dairy. Regarding instant (rapid rise) yeast versus active dry or fresh yeast: What we have found that works, especially if using bread flour, is to use only .35 (or 35%) by weight of the fresh yeast called for in the recipe. Thus: if 10 grams of fresh yeast is called for, use 3.5 grams of instant yeast. This does mean that you will often have to weight your ingredient but then, that tends to work well anyway. Instant yeast does not have to be ‘bloomed.” It can be added directly to the flour. However, since salt will kill yeast, I add the yeast to the flour at the beginning of the process and make sure to add the salt after the other two are well mixed. That is such a lovely, dark, rich looking dough that I just have to give it a go!! My kids will REALLY love me when they come home from school today! You know one of the things I really like about this post? It came in handy. Someone just asked me about selling a recipe to a publication, and then wanting to use it later in a cookbook. I sent her to this post, as it explains how to reformulate an earlier recipe to make it your own again. I know that was not your intention, but it was useful from that standpoint. Not to mention how good that slice looks. 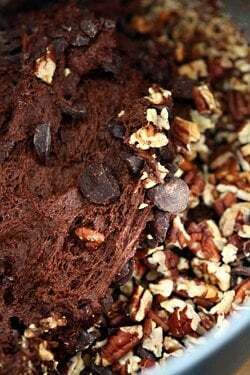 The first time I had chocolate bread was during breakfast with Amanda Hesser at Balthazar in NY. Will never forget that dense chocolate taste in something so innocent: bread. Almost seemed healthy! Well, now I know how I’m spending my Friday…I love your persistence with these recipes. I trust them. And when you live an hour and a half from ingredients, that is saying quite a bit. what shall I say – this is another ‘must-try’ recipe. Jennifer: Thanks for your tips on instant yeast. I don’t normally proof yeast, even active dry, if I know it’s fresh since it’ll rise when making the sponge. But since I often use products I’m unfamiliar with (like the SAF yeast I’ve tried), I like to make sure before adding expensive ingredients. mrs. redboots: Unless otherwise indicated, flour is my recipes is what we call ‘all-purpose’ white flour in the US. Am not sure how it’s referred to elsewhere, though. chanie: I tried it with vegetable oil and didn’t like the results. But if you try it with a variation, let me know how it turns out. yokada (and others): I know that Nancy Silverton at La Brea bakery does (or did) a chocolate-cherry bread. One could certainly add dried sour cherries, or another dried fruit. What. a. great. post! Thanks for trying out all the different ways and sharing the differences you noticed. I laughed so hard when you mentioned your delivery man. I also try to avoid recipes that call for yolks only…leftover whites can be a big headache. 99% of the time, I never substitute oil for butter as it tends to mar the texture and, as you mentioned, give the bread a strange oily smell. Tried it and LOVE it! I really like the bread taste to it. My only issue was that it did not seem to rise, except when baking. The end result is very acceptable but does not have a bread texture. It actually is pretty crumbly. Could it be that I worked it too much? 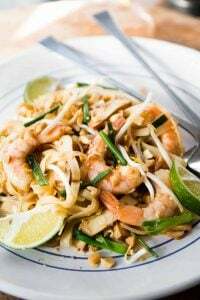 i like that you re-tried the recipes and experimented, seeing what works best or differently. I vote for nuts. I made the chocolate bread last night and It is great! I think I overbaked it a bit, but it is still wonderful. The house still smells so good! Thank you for sharing! I am going to make another loaf on Sunday! jen: It does smell good, doesn’t it? I loved the aroma that came out of my oven when I made it. Each and every time..
Julie: It does not rise as much as traditional bread, I think because of all the chocolate in it. It should be like the texture in the last picture, not cake-like, but somewhat like a yeasted cake. If it’s crumbly, you might have overbaked it. You can use it for bread pudding! I started reading the post thinking, “I missed this one in the book,” but all was made clear. AND I just happen to have some whole milk in the fridge since I just made ice cream from The Perfect Scoop to take to a dinner party tonight. Now I know what to do with it! Ha! I’m still reconciling myself to sharing bread this way. And I’m really stuck on cake. How do you share part of a cake? Thanks for sharing this, David. I have a question about the recipe. Chocolate is listed twice in the ingredients, then mentioned in steps 2 and 7. Is it to be added once in a melted state, and then again later in chunks? Because the two quantities are so similar, does it matter which quantity is which? Ken: In recipes, ingredients are listed in order that they’re used. So the 3 ounces (85 g) of chocolate gets melted, and the chopped chocolate, listed at the end of the ingredient lists, gets mixed in at the end. Joy: People are used to getting cakes from me with one piece taken out! Oh, yum yum yum! I want! David, I tried it, it rose nicely, it tastes wonderful, but it’s more cakey than bready. I baked per your recipe, with the bread flour, to an internal temperature of 180F, but I baked at 6000 feet. Is the bread fairly fragile, due to the butter and chocolate in it, or may that have to do with altitude? 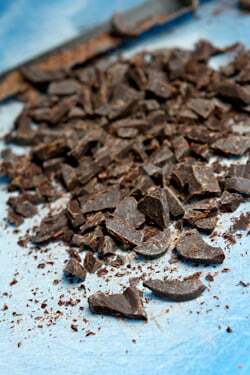 The question of Dutch process cocoa vs natural cocoa has come up before when I’ve wanted to make a delicious-sounding recipe, so I decided to do some research to see if I could puzzle out the chemistry of it once and for all. After said research, I believe I can now say with some confidence that perhaps using natural cocoa didn’t make the bread rise as well in one of your experiments because as an acid, it needs an alkali such as baking soda in order to prompt a leavening action in the oven when baked, which causes the batter to rise (source: http://whatscookingamerica.net/Q-A/CocoaTypes.htm). Your recipe doesn’t call for any baking soda, so there wasn’t anything for the acid to interact with and thus cause the rising action. That’s my unproven/unprofessional theory, anyway. I will be experimenting with adding baking soda to the recipe and using natural cocoa, not just because I currently have the latter on hand (and supposedly has a more complex chocolate flavor), but also because now I just have to know! I made this with instant yeast, following the substitutions listed in “The Bakers Dozen” (remember that one? ), and proofed the yeast first as the book recommended for sweet breads. You’re right, not quite bread, not pound cake, a unique texture. The taste reminds me of a chocolate cheesecake – perhaps some tang from the yeast? What a fantastic idea. I love that this bread is indeed bread, and not a super sweet loaf. Can’t wait to try it. i remember my bread baking instructor teaching us baking by percentages. one should use 3% fresh yeast or 2% dry yeast or 1% instant yeast BY WEIGHT in relation to the flour weight(100%). i hope i explained that correctly. you mentioned that this dough is softer… what did you change to make it so? would the final dough texture before baking still be sticky or just more “gloopy” and unable to hold a definite firmer shape? would this change make the final product more cake-like, as mentioned by your other readers? Thank-you for all those extra comments. What a treat to see those sorts of debates addressed so honestly. There’s a great little boulangerie on rue de Charenton, between rue Taine and blvd de Reuilly. They make a fantastic chocolate bread that I miss terribly. It’s more like a sourdough with chocolate chunks. They sell it as a petite pain and you can find them teasing pedestrians on weekend mornings with their breads. I wish I knew the name of the boulangerie, it’s near the great fromagerie. It seems to be owned and run by a small group of young women that are very passionate about their bread and pastries. Just out of curiousity, have you tried this place and if so, how does it match your recipe? Hurrah! I’ve been wanting to reproduce some chocolate rolls I used to get in North Carolina, and I think this will be a great starting point. Thank you! Do you think I could let this rise in the fridge overnight, then add the nuts/chips after letting it come to room temp and bake? At first, I thought it was a quickbread, but no, it’s yeast bread. Now I’m even more intrigued. I’m thinking some orange zest would perfume it really nicely and complement the chocolate (if you like choc + citrus, which I do). Thanks for the recipe, David. Thank you so much for the wonderful recipe! I made 2 loaves – with bread flour and with gluten-free flour – both great, though I normally don’t eat chocolate! I doubled the flour quantity, otherwise it was almost liquid. Thank you thank you thank you! Will sure make again! It’s funny – for years, it seemed all you could find in the grocery stores (at least in upstate NY) was Dutch processed cocoa. Now, it seems all you can find is natural. I can’t even find plain Hershey’s cocoa any more – just the Special Dark, which is a blend of Dutch and natural. For those in the US outside of major cities who have the same problem, Penzeys offers both by mail order. Bread flour is easy to find in the US these days. Even Super Wal-Mart sells King Arthur brand, and I think they sell other brands as well. This looks gorgeous. I stumbled upon your recipes and now I am so hooked. After your tests and experiments, it would be a shame if I wasn’t going to try this soon. Just a quick question first… for this step “If using a stand mixer, attach the dough hook and beat for five minutes, until smooth.”… do I have to mix until it’s smooth and elastic i.e. pass the so-called membrane test? It took me a while to finally get around trying out this recipe, but I know I’ll be making this over and over again. This bread was absolutely delicious and incredibly moist. I gave it an extra twist by adding a bit of banana bread batter on top. Thanks so much once again!